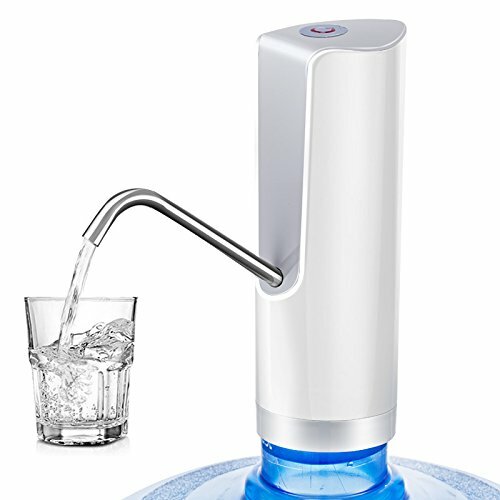 Etbotu USB Charging Electric Drinking Fountain Pumper Water Dispenser for Barrelled Water with Child Safety Lock | Fountain City Art Ctr. Eco-friendly ABS + stainless steel, nontoxic, odor-free, doing no harm to your health. One-button design, allowing you enjoy clean water any time you like. With child safety lock, long press 3s to run the function, and another long press for closing it. Sleek and compact, easy to install, convenient to use.